Wow - 99 comments in 2 days! No worries if you couldn't follow (I didn't know it would be tricky!) - I'll pick a winner from the commenters as well. Oh and I forgot to mention the contest includes international as well - I have to celebrate in style. 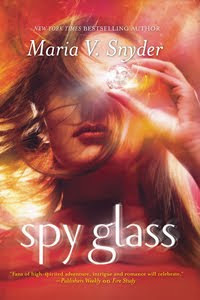 In order to celebrate this new blog - I'm giving away FIVE signed copies of SPY GLASS!!! What you need to do to win is to sign up as a follower and leave me a comment that you did and I'll randomly pick five winners next Sunday, August 22nd! SPY GLASS will be release on August 24th - and some stores will have it on the shelves that week and others will wait until September 1st. Amazon always ships early. Here's an excerpt you can't find anywhere else! By the time I met up with Nic and Eve at the Pig Pen, the evening rush had subsided.